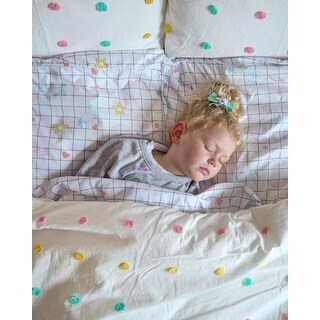 Loved the bedspread, it is beautiful! 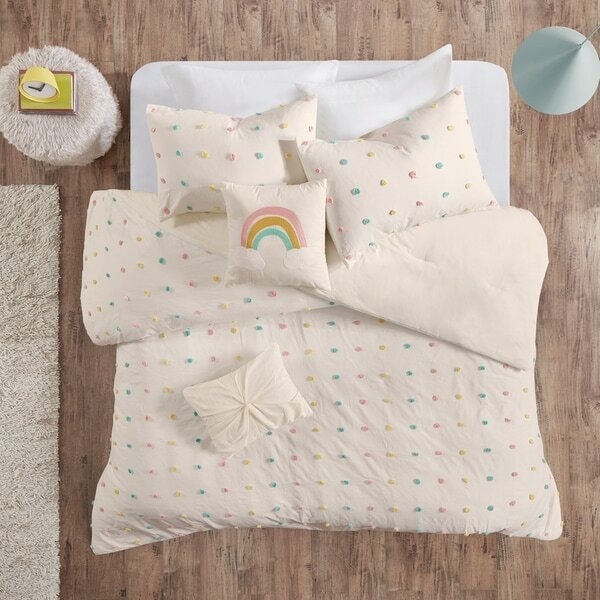 Brighten up your kid's bedroom with the Urban Habitat Kids Ensley Cotton Jacquard Pom Pom Comforter Set. The 100-percent cotton comforter and sham(s) features multi-colored jacquard pom poms that pop against the soft white base fabric, for a fun textured look. Two decorative pillows (12x16, 16x16) provide the perfect finishing touches to the bedding set. Soft, comfortable, and full of charm, this comforter set is machine washable to make cleaning easy. A quality comforter set for such a reasonable price. Love that the accent pillows were included in the set. It was shipped in a timely manner, and is perfect for my young daughter’s room. The bedspread is super soft and fits the twin bed perfectly. The color is white with pink, yellow and teal pompoms. The extra pillows really make this set lol cute. It was the perfect comforter set for my toddler. 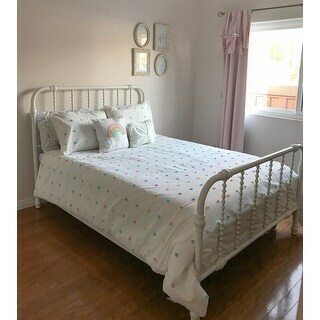 I bought this for my granddaughters bedroom. So pretty and soft. Very happy with the purchase! Pulled the entire room together and nice that it is cotton. Delivered fast and very nice comforter. Just wish the pillows were made with better quality fabric. Super cute and comfy! Nice in adult rooms too if you have the right design! The colors were spot on and fit the bed very nicely with no problem. Would recommend for sure! Just like pictured. The weight is on the heavy side so it will keep you warm for sure. 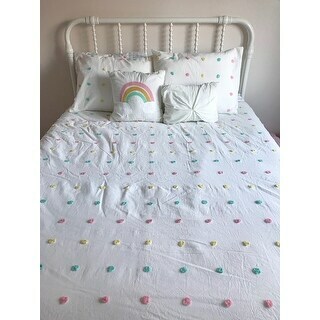 This bedding is gorgeous...looks beautiful in my daughter's bedroom. Beautiful and just what Granddaughter wanted. "What is the thread count of this cotton?" The face yarn dye fabric is about 160 thread count, the reverse is 144 thread count. My daughter wanted something more “fluffy” plus the colors are perfect and subtle.